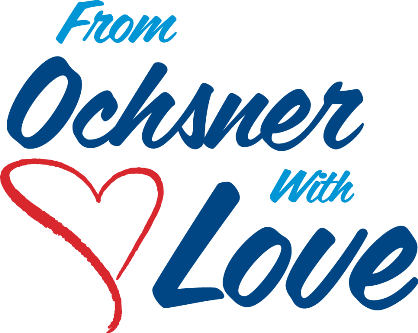 The “From Ochsner with Love” campaign was designed to highlight the outstanding care provided by the Ochsner Cardiology team while raising funds and awareness for heart health. Together, we can create a stronger, healthier tomorrow. Looking for ways to give back and make a difference? Consider hosting an event on behalf of the John Ochsner Heart and Vascular Institute. The second annual Red Tie Affair will take place on Friday, February 8, 2019 at the Ritz-Carlton New Orleans. Funds raised from this year's event will support the John Ochsner, MD Tribute Fund. To learn more about the event, please click here. Check back with us soon for more From Ochsner with Love Events Coming in 2019! For more information on how you can support cardiac care in the Gulf South by participating in From Ochsner with Love, please contact Ochsner Special Events at specialevents@ochsner.org or 504-842-7113.